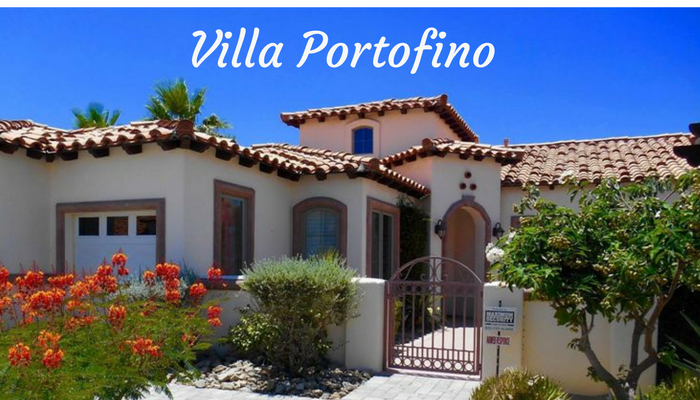 Villa Portofino is a gated community in Palm Desert has some surprisingly affordable condos, single-family homes, and apartments throughout the community. 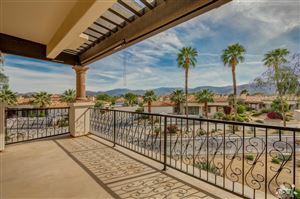 Nestled just off of Country Club Drive, minutes to the freeway, golf, shopping and more, the Villa Portofino is exclusively designed for 55 and over throughout Palm Desert. This is the only place of its kind in the Coachella Valley. It's located on 50 acres in the heart of the city. There are one story homes with 1 to 3 bedrooms with detached and attached homes surrounded by beautiful views of the Santa Rosa mountains. These homes are nestled in the heart of a socially active community and a happy lifestyle with residents enjoying many of the amenities and activities the community provides. There's a luxurious clubhouse with poolside service, state-of-the-art fitness center, spa, game room, bistro bar, Cantina, and a private movie theater. He combines world-class luxury with affordable residency. It's close to shopping, golf, entertainment and the Eisenhower Medical Center. Prices range from about $200,000-$480,000 and at any given time there are about 5 to 10 properties for sale.Homeowners dues are roughly $650-$700 per month based on the unit you choose. This covers all common area maintenance, landscaping, maintenance of amenities and social calendar, and several utilities with condominiums and townhouse units. If you're interested in floor plans, designs, homeowner information, association information, or would like to tour of any of these homes currently for sale in Villa Portofino contact my office today. Proficient with homes in this area would have to find you the right active adult community for your needs, lifestyle and budget.